Members of the WUME Lab publish papers on multiple topics of interest, including web search, data mining, social media, networking, search engine spam, and information retrieval. We have collected a listing here for easy browsing. Y. Yi, Z. Chen, J. Heflin and B. D. Davison. (2018) Recognizing Quantity Names for Tabular Data. In Joint Proceedings of the First International Workshop on Professional Search (ProfS2018); the Second Workshop on Knowledge Graphs and Semantics for Text Retrieval, Analysis, and Understanding (KG4IR); and the International Workshop on Data Search (DATA:SEARCH'18), pages 68-73. Presented at the International Workshop on Data Search (DATA:SEARCH'18), co-located with SIGIR 2018. Ann Arbor, Michigan, USA, July. Z. Chen, H. Jia, J. Heflin and B. D. Davison. (2018) Generating Schema Labels through Dataset Content Analysis. In Companion Proceedings of the The Web Conference (WWW '18), pages 1515-1522. Presented at the International Workshop on Profiling and Searching Data on the Web (Profiles & Data:Search'18, co-located with The Web Conference), Lyon, France, April. Best paper award. S. Kuang and B. D. Davison. (2017) Class-specific Word Embedding through Linear Compositionality. In Proceedings of the IEEE International Conference on Big Data and Smart Computing (BigComp), pages 390-397, Shanghai, China, January. An earlier version was presented at the International Workshop on Mining Actionable Insights from Social Networks (MAISoN'17), Cambridge, UK, February. S. Kuang and B. D. Davison. (2017) Numeric-attribute-powered Sentence Embedding. In Proceedings of the IEEE International Conference on Big Data and Smart Computing (BigComp), pages 623-626, Shanghai, China, January. S. Kuang and B. D. Davison. (2017) Learning Word Embeddings with Chi-Square Weights for Healthcare Tweet Classification. Applied Sciences, Volume 7, Issue 8, Article 846. August 17. O. Dan and B. D. Davison. (2016) Measuring and Predicting Search Engine Users' Satisfaction. ACM Computing Surveys, Volume 49, Issue 1, Article 18, 35 pages, July. S. Kuang and B. D. Davison. (2016) Semantic and Context-aware Linguistic Model for Bias Detection. In Proceedings of the Natural Language Processing meets Journalism IJCAI-16 Workshop, pages 57-62, New York City, July 10. O. Dan, V. Parikh and B. D. Davison. (2016) Improving IP Geolocation using Query Logs. In Proceedings of the 9th Annual ACM International Conference on Web Search and Data Mining (WSDM), pages 347-356, San Francisco, CA, February. Z. Yang, L. Hong, D. Yin and B. D. Davison. (2015) Ranking Authors with Learning-to-Rank Topic Modeling. In International Journal of Innovative Computing, Information and Control (IJICIC), 11(4):1295-1316, August. Z. Yang, D. Yin and B. D. Davison. (2014) Recommendation in Academia: A Joint Multi-Relational Model. In Proceedings of the 2014 IEEE/ACM International Conference on Advances in Social Networks Analysis and Mining (ASONAM), Beijing, China. Z. Yang, D. Yin and B. D. Davison. (2014) Optimizing MAP in Joint Multi-Relational Models for Recommendations in the Academic Network. Technical Report LU-CSE-14-002, Dept. of Computer Science and Engineering, Lehigh University. Z. Yang, (2014) Mining and Analyzing the Academic Network. Doctoral Dissertation, Department of Computer Science and Engineering, Lehigh University, May. D. Yin, S. Mei, B. Cao, J.-T. Sun, and B. D. Davison. (2014) Exploiting Contextual Factors for Click Modeling in Sponsored Search. In Proceedings of the 7th Annual ACM International Conference on Web Search and Data Mining, pages 113-122, New York City, NY, February. D. Yin, B. Cao, J.-T. Sun, and B. D. Davison. (2014) Estimating Ad Group Performance in Sponsored Search. In Proceedings of the 7th Annual ACM International Conference on Web Search and Data Mining, pages 143-152, New York City, NY, February. Z. Yang, L. Hong and B. D. Davison. (2013) Academic Network Analysis: A Joint Topic Modeling Approach. In Proceedings of the 2013 IEEE/ACM International Conference on Advances in Social Networks Analysis and Mining (ASONAM), Niagara Falls, Canada. D. Yin. (2013) Prediction and Recommendation in Online Media. Doctoral Dissertation, Department of Computer Science and Engineering, Lehigh University, August. A. Ahmed, L. Hong, and A. Smola. (2013) Hierarchical Geographical Modeling of User Locations from Social Media Posts. In Proceedings of the 22nd International World Wide Web Conference (WWW), pages 25-36, Rio de Janeiro, Brazil, May. L. Hong. (2013) Mining and Understanding Online Conversational Media. Doctoral Dissertation, Department of Computer Science and Engineering, Lehigh University, May. N. Dai. (2013) Mining Web Dynamics for Search. Doctoral Dissertation, Department of Computer Science and Engineering, Lehigh University, May. G. Bouchard, S. Guo, and D. Yin. (2013) Convex Collective Matrix Factorization. In Proceedings of the 16th International Conference on Artificial Intelligence and Statistics (AISTATS), pages 144-152, Scottsdale, AZ, Volume 31 of JMLR: W&CP 31. L. Hong, A. Doumith, and B. D. Davison. (2013) Co-Factorization Machines: Modeling User Interests and Predicting Individual Decisions in Twitter. In Proceedings of the 6th Annual ACM International Conference on Web Search and Data Mining (WSDM), pages 557-566, Rome, Italy, February. Nominated for best paper award. D. Yin, S. Guo, B. Chidlovskii, B. D. Davison, C. Archambeau and G. Bouchard. (2013) Connecting Comments and Tags: Improved Modeling of Social Tagging Systems. In Proceedings of the 6th Annual ACM International Conference on Web Search and Data Mining (WSDM), pages 547-556, Rome, Italy, February. Z. Yang and B. D. Davison. (2012) Writing with Style: Venue Classification. In Proceedings of the 11th International Conference on Machine Learning and Applications (ICMLA), pages 250-255, Boca Raton, FL, December. Z. Yang and B. D. Davison. (2012) Venue Recommendation: Submitting your Paper with Style. In Proceedings of the 11th International Conference on Machine Learning and Applications (ICMLA), pages 681-686, Boca Raton, FL, December. L. Hong, A. Doumith, and B. D. Davison. (2012) Personalized Retweet Prediction in Twitter. Presented at the Fourth Workshop on Information in Networks (WIN), NYU, New York City, September. A. Kontostathis, A. Garron, K. Reynolds, W. West, and L. Edwards. (2012) Identifying Predators Using ChatCoder 2.0. In Notebook Proceedings of PAN at CLEF 2012, Rome, Italy, September. L. Hong, R. Bekkerman, J. Adler, and B. D. Davison. (2012) Learning to Rank Social Update Streams. In Proceedings of the 35th Annual ACM Conference on Research and Development in Information Retrieval (SIGIR), pages 651-660, Portland, OR, August. N. Dai. (2012) Building Contextual Anchor Text Representation Using Graph Regularization. In Proceedings of the 26th Conference on Artificial Intelligence (AAAI), pages 24-30, Toronto, Canada, July. Z. Yang and B. D. Davison. (2012) Distinguishing Venues by Writing Styles. In Proceedings of the 12th ACM/IEEE-CS Joint Conference on Digital Libraries (JCDL), pages 371-372, Washington, DC, June. L. Hong, A. Ahmed, S. Gurumurthy, A. Smola and K. Tsioutsiouliklis. (2012) Discovering Geographical Topics in the Twitter Stream. In Proceedings of the 21st International World Wide Web Conference (WWW 2012), pages 769-778, Lyon, France, April. O. Dan, P. Dmitriev and R. White. Mining for Insights in the Search Engine Query Stream. In Companion Proceedings of the 21st International World Wide Web Conference (WWW 2012), pages 489-490, Lyon, France, April. X. Qi. (2012) Web Page Classification and Hierarchy Adaptation. Doctoral Dissertation, Department of Computer Science and Engineering, Lehigh University, January. N. Dai and B. D. Davison. (2011) Topic-Sensitive Search Engine Evaluation. Online Information Review, 35(6):893-908. D. Yin, L. Hong and B. D. Davison. (2011) Structural Link Analysis and Prediction in Microblogs. In Proceedings of the 20th ACM Conference on Information and Knowledge Management (CIKM), pages 1163-1168, Glasgow, Scotland, October. X. Qi and B. D. Davison. (2011) Hierarchy Evolution for Improved Classification. In Proceedings of the 20th ACM Conference on Information and Knowledge Management (CIKM), pages 2193-2196, Glasgow, Scotland, October. An extended version is available as Technical Report LU-CSE-11-002. L. Hong, D. Yin, J. Guo and B. D. Davison. (2011) Tracking Trends: Incorporating Term Volume into Temporal Topic Models. In Proceedings of the 17th ACM SIGKDD Conference on Knowledge Discovery and Data Mining, pages 484-492, San Diego, August. L. Hong, B. Dom, S. Gurumurthy and K. Tsioutsiouliklis. (2011) A Time-Dependent Topic Model for Multiple Text Streams. In Proceedings of the 17th ACM SIGKDD Conference on Knowledge Discovery and Data Mining, pages 832-840, San Diego, CA, USA, August. D. Yin, L. Hong, Z. Xue and B. D. Davison. (2011) Temporal Dynamics of User Interests in Tagging Systems. In Proceedings of the Twenty-Fifth AAAI Conference on Artificial Intelligence, pages 1275-1289, San Francisco, August. Z. Xue, D. Yin and B. D. Davison. (2011) Normalizing Microtext. In Proceedings of the AAAI-11 Workshop on Analyzing Microtext, pages 74-79, San Francisco, August. N. Dai, M. Shokouhi and B. D. Davison. (2011) Learning to Rank for Freshness and Relevance. In Proceedings of the 34th Annual International ACM SIGIR Conference on Research and Development on Information Retrieval, pages 95-104, Beijing, China, July. D. Yin, L. Hong, X. Xiong and B. D. Davison. (2011) Link Formation Analysis in Microblogs. In Proceedings of the 34th Annual International ACM SIGIR Conference on Research and Development on Information Retrieval, pages 1235-1236, Beijing, China, July. Z. Yang, D. Yin and B. D. Davison. (2011) Award Prediction with Temporal Citation Network Analysis. In Proceedings of the 34th Annual International ACM SIGIR Conference on Research and Development on Information Retrieval, pages 1203-1204, Beijing, China, July. N. Dai, M. Shokouhi and B. D. Davison. (2011) Multi-Objective Optimization in Learning to Rank. In Proceedings of the 34th Annual International ACM SIGIR Conference on Research and Development on Information Retrieval, pages 1241-1242, Beijing, China, July. O. Dan and J. Feng and B. D. Davison. (2011) A Bootstrapping Approach to Identifying Relevant Tweets for Social TV. In Proceedings of the 5th International AAAI Conference on Weblogs and Social Media (ICWSM), pages 462-465, Barcelona, Spain, July. N. Dai, X. Qi and B. D. Davison. (2011) Bridging Link and Query Intent to Enhance Web Search. In Proceedings of the 22nd ACM Conference on Hypertext and Hypermedia, pages 17-26, Eindhoven, The Netherlands, June. L. Hong, O. Dan and B. D. Davison. (2011) Predicting Popular Messages in Twitter. In Companion Proceedings of the 20th International World Wide Web Conference, pages 57-58, Hyderabad, India, March. Best poster paper award. D. Yin, L. Hong and B. D. Davison. (2011) Exploiting Session-like Behaviors in Tag Prediction. In Companion Proceedings of the 20th International World Wide Web Conference, pages 167-168, Hyderabad, India, March. N. Dai, X. Qi and B. D. Davison. (2011) Enhancing Web Search with Entity Intent. In Companion Proceedings of the 20th International World Wide Web Conference, pages 29-30, Hyderabad, India, March. O. Dan, J. Feng and B. D. Davison. (2011) Filtering microblogging messages for Social TV. In Companion Proceedings of the 20th International World Wide Web Conference, pages 197-200, Hyderabad, India, March. X. Qi, D. Yin, Z. Xue and B. D. Davison. (2010) Choosing Your Own Adventure: Automatic Taxonomy Generation to Permit Many Paths. In Proceedings of the 19th ACM International Conference on Information and Knowledge Management (CIKM), pages 1853-1856, Toronto, Canada, October. An extended version is available as Technical Report LU-CSE-10-005. D. Yin, Z. Xue, L. Hong and B. D. Davison. (2010) A Probabilistic Model for Personalized Tag Prediction. In Proceedings of the 16th ACM SIGKDD Conference on Knowledge Discovery and Data Mining, pages 959-968, Washington, DC, July. L. Hong and B. D. Davison. (2010) Empirical Study of Topic Modeling in Twitter. In Proceedings of the SIGKDD Workshop on Social Media Analytics (SOMA) at KDD 2010, Washington, DC, July. N. Dai and B. D. Davison. (2010) Freshness Matters: In Flowers, Food, and Web Authority. In Proceedings of the 33rd Annual ACM SIGIR Conference on Research and Development in Information Retrieval, pages 114-121, Geneva, Switzerland, ACM Press, July. J. Wang, L. Hong, and B. D. Davison. (2009). RSDC'09: Tag Recommendation Using Keywords and Association Rules. In Proceedings of the ECML/PKDD 2009 Discovery Challenge Workshop, Bled, Slovenia, September. L. Hong, Z. Yang and B. D. Davison. (2009). Incorporating Participant Reputation in Community-driven Question Answering Systems. In Proceedings of the Symposium on Social Intelligence and Networking (SIN09), held in conjunction with IEEE SocialCom-09, CSE (4):475-480, Vancouver, August. L. Hong and B. D. Davison. (2009). A Classification-based Approach to Question Answering in Discussion Boards. In Proceedings of the 32nd Annual International ACM SIGIR Conference on Research and Development in Information Retrieval, pages 171-178, Boston, July. J. Wang and B. D. Davison. (2009). Counting Ancestors to Estimate Authority. Poster summary in Proceedings of the 32nd Annual International ACM SIGIR Conference on Research and Development in Information Retrieval, pages 658-659, Boston, July. N. Dai, B. D. Davison and X. Qi. (2009) Looking into the Past to Better Classify Web Spam. In Proceedings of the Fifth International Workshop on Adversarial Information Retrieval on the Web (AIRWeb), pages 1-8, Madrid, Spain, April. D. Yin, Z. Xue, L. Hong, B. D. Davison, A. Kontostathis, and L. Edwards. (2009) Detection of Harassment on Web 2.0. In Proceedings of the Content Analysis in the WEB 2.0 (CAW2.0) Workshop at WWW2009, Madrid, Spain, April. X. Qi and B. D. Davison. (2009) Web Page Classification: Features and Algorithms. ACM Computing Surveys, 41(2), February. J. Wang and B. D. Davison. (2008). Explorations in Tag Suggestion and Query Expansion. In Proceedings of the CIKM 2008 Workshop on Search in Social Media (SSM 2008), pages 43-50, Napa Valley, CA, October. L. Nie. (2008) Mining the Hyperlinks of the Web Graph. Doctoral Dissertation, Department of Computer Science and Engineering, Lehigh University, September. X. Qi and B. D. Davison. (2008) Classifiers without Borders: Incorporating Fielded Text from Neighboring Web Pages. In Proceedings of the 31st Annual International ACM SIGIR Conference on Research and Development in Information Retrieval, pages 643-650, Singapore, July. L. Nie and B. D. Davison. (2008) Separate and Inequal: Preserving Heterogeneity in Topical Authority Flows. In Proceedings of the 31st Annual International ACM SIGIR Conference on Research and Development in Information Retrieval, pages 443-450, Singapore, July. B. D. Davison, W. Zhang, and B. Wu. (2008). Connecting P2P to the Web: Lessons from a Prototype Gnutella-WWW Gateway. In Internet Research, 18(3):336-356. M. Najork, and B. D. Davison. (2008) Introduction to Special Section on Adversarial Issues in Web Search. In ACM Transactions on the Web, Volume 2, Number 1, February. B. Wu and B. D. Davison. (2008) Web Spam Identification and Blocking. Article in The McGraw-Hill 2008 Yearbook of Science and Technology, pages 370-372. S. K. Bhandari. (2008) Recognizing Anchor Text Patterns on the Web. Master's thesis, Dept. of Computer Science and Engineering, Lehigh University. S. K. Bhandari, B. D. Davison. (2007) Leveraging Search Engine Results for Query Classification. Technical Report LU-CSE-07-013, Dept. of Computer Science and Engineering, Lehigh University. C. Castillo, B. D. Davison, L. Denoyer and P. Gallinari (eds). (2007) Proceedings of the Graph Labelling Workshop and Web Spam Challenge (GRAPHLAB). Held at ECML/PKDD, Warsaw, Poland, September. Q. Ye, L. Cheng, M. C. Chuah, and B. D. Davison. (2007) SHIM: A Scalable Hierarchical Inter-domain Multicast Approach for Disruption Tolerant Networks. In Proceedings of the International Wireless Communications and Mobile Computing Conference, pages 170-175, Honolulu, August. L. Nie, B. D. Davison and B. Wu. (2007) From Whence Does Your Authority Come? Utilizing Community Relevance in Ranking. In Proceedings of the Twenty-Second Conference on Artificial Intelligence (AAAI-07), pages 1421-1426, Vancouver, Canada, July. L. Nie, B. Wu and B. D. Davison. (2007) Winnowing Wheat from the Chaff: Propagating Trust to Sift Spam from the Web. Poster summary in Proceedings of the 30th Annual International ACM SIGIR Conference on Research and Development in Information Retrieval, pages 869-870, Amsterdam, July. L. Nie, B. D. Davison and B. Wu. (2007) Ranking by Community Relevance. Poster summary in Proceedings of the 30th Annual International ACM SIGIR Conference on Research and Development in Information Retrieval, pages 873-874, Amsterdam, July. Y. Wang, X. Qi and B. D. Davison. (2007) Standing on the Shoulders of Giants: Ranking by Combining Multiple Sources. Technical Report LU-CSE-07-011, Dept. of Computer Science and Engineering, Lehigh University. C. Castillo, K. Chellapilla, and B. D. Davison (eds). (2007) Proceedings of the Third International Workshop on Adversarial Information Retrieval on the Web (AIRWeb). ACM Press, May. L. Nie, B. Wu and B. D. Davison. (2007) A Cautious Surfer for PageRank. In Proceedings of the 16th International World Wide Web Conference (WWW), pages 1119-1120, Banff, Canada, May. X. Qi, L. Nie and B. D. Davison. (2007) Measuring Similarity to Detect Qualified Links. In Proceedings of the Third International Workshop on Adversarial Information Retrieval on the Web (AIRWeb), pages 49-56, Banff, Canada, May 8. An earlier version of this paper was published as a technical report. B. Wu and Kumar Chellapilla. (2007) Extracting Link Spam using Biased Random Walks from Spam Seed Sets. In Proceedings of the Third International Workshop on Adversarial Information Retrieval on the Web (AIRWeb), pages 37-44, Banff, Canada, May 8. B. Wu. (2007) Finding and Fighting Search Engine Spam. Doctoral Dissertation, Department of Computer Science and Engineering, Lehigh University, March. L. Nie, B. Wu and B. D. Davison. (2007) Incorporating Trust into Web Search. Technical Report LU-CSE-07-002, Dept. 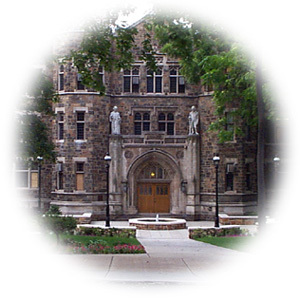 of Computer Science and Engineering, Lehigh University. B. D. Davison, M. Najork, and T. Converse. (2006) SIGIR Workshop Report: Adversarial Information Retrieval on the Web (AIRWeb 2006). In SIGIR Forum, Volume 40, Number 2, pages 27-30, December. X. Qi and B. D. Davison. (2006) Knowing a Web Page by the Company It Keeps. In Proceedings of the 15th ACM Conference on Information and Knowledge Management (CIKM), pages 228-237, Arlington, VA, November 6-11. An earlier version of this paper was published as a technical report. L. Nie, B. D. Davison and X. Qi. (2006) Topical Link Analysis for Web Search. In Proceedings of the 29th Annual International ACM SIGIR Conference on Research & Development in Information Retrieval, pages 91-98, Seattle, WA, August. B. D. Davison, M. Najork, and T. Converse (eds). (2006) Proceedings of the Second International Workshop on Adversarial Information Retrieval on the Web. Technical Report LU-CSE-06-027, Dept. of Computer Science and Engineering, Lehigh University. B. Wu, V. Goel, and B. D. Davison. (2006) Propagating Trust and Distrust to Demote Web Spam. In Proceedings of Models of Trust for the Web (MTW), a workshop at the 15th International World Wide Web Conference, Edinburgh, Scotland, May. B. Wu and B. D. Davison. (2006) Detecting Semantic Cloaking on the Web. In Proceedings of the 15th International World Wide Web Conference, pages 819-828, Edinburgh, Scotland, May. B. Wu, V. Goel, and B. D. Davison. (2006) Topical TrustRank: Using Topicality to Combat Web Spam. In Proceedings of the 15th International World Wide Web Conference, pages 63-72, Edinburgh, Scotland, May. Q. Ye, L. Cheng, M. C. Chuah, and B. D. Davison. (2006) OS-multicast: On-demand Situation-aware Multicasting in Disruption Tolerant Networks. In Proceedings of the IEEE 63rd Vehicular Technology Conference (VTC), Melbourne, Australia, May. M. C. Chuah, P. Yang, B. D. Davison, and L. Cheng. (2006) Store-and-Forward Performance in a Disruption Tolerant Network. In Proceedings of the IEEE 63rd Vehicular Technology Conference (VTC), Melbourne, Australia, May. B. Wu and B. D. Davison. (2006) Undue Influence: Eliminating the Impact of Link Plagiarism on Web Search Rankings. In Proceedings of The 21st ACM Symposium on Applied Computing (Information Access and Retrieval track), Dijon, France, April. A slightly longer (and corrected) version is available as Technical Report LU-CSE-06-007. M. C. Chuah, V. Goel, and B. D. Davison. (2006) Performance evaluation of mobility management scheme in DTN. In Proceedings of the IEEE Wireless Communications and Networking Conference (WCNC), Las Vegas, NV, April. B. D. Davison. (2006) World wide web search engines. Article in McGraw-Hill 2006 Yearbook of Science and Technology, pages 347-349. M. C. Chuah, L. Cheng, and B. D. Davison. (2005) Enhanced Disruption and Fault Tolerant Network Architecture for Bundle Delivery (EDIFY). In Proceedings of IEEE Global Telecommunications Conference (GLOBECOM), Volume 2, pages 807-812, St. Louis, November. S. Mao, L. Nie, and G. Thoma. (2005) Unsupervised Style Classification of Document Page Images. In Proceedings of the IEEE International Conference on Image Processing, Vol. II, pages 510-513, Genova, Italy, September. B. D. Davison, W. Zhang, and B. Wu. (2005) Connecting P2P to the Web: A Gnutella-WWW Gateway. Technical Report LU-CSE-05-016, Dept. of Computer Science and Engineering, Lehigh University. B. D. Davison and W. Zhang. (2005) Searching the Web and more --- a juxtaposition of online search traces. Technical Report LU-CSE-05-005, Dept. of Computer Science and Engineering, Lehigh University. B. Wu and B. D. Davison. (2005) Identifying Link Farm Spam Pages. In Proceedings of the 14th International World Wide Web Conference (Industrial and Practical Experience Track), Chiba, Japan, May. B. D. Davison (ed). (2005) Proceedings of the First International Workshop on Adversarial Information Retrieval on the Web. Technical Report LU-CSE-05-030, Dept. of Computer Science and Engineering, Lehigh University. B. Wu and B. D. Davison. (2005) Cloaking and Redirection: A Preliminary Study. In Proceedings of the First International Workshop on Adversarial Information Retrieval on the Web (AIRWeb), held at WWW 2005, Chiba, Japan, May. A. Kontostathis, W. M. Pottenger, and B. D. Davison. (2005) Identification of Critical Values in Latent Semantic Indexing. In T. Y. Lin, S. Ohsuga, C.-J. Liau, X. T. Hu, and S. Tsumoto (eds.) Foundations of Data Mining and Knowledge Discovery, Springer-Verlag. B. D. Davison. (2005) Search engine, pages 268-269. Article in The World Book Encyclopedia. B. D. Davison and B. Wu. (2004) Implementing a Web Proxy Evaluation Architecture. In Proceedings of 30th International Conference for the Resource Management and Performance Evaluation of Enterprise Computing Systems (CMG2004), Las Vegas, December 2004. Best paper award. B. D. Davison. (2004) The potential of the metasearch engine. In Proceedings of the Annual Meeting of the American Society for Information Science and Technology, Volume 41, pages 393-402, Providence, RI, November 2004. A. Kontostathis, W. M. Pottenger, and B. D. Davison. (2004) Assessing the Impact of Sparsification on LSI Performance. In the The Grace Hopper Celebration of Women in Computing, Chicago, October 2004. F. Douglis and B. D. Davison (eds). (2004) Web Content Caching and Distribution: Proceedings of the 8th International Workshop. Kluwer, June 2004. B. D. Davison, W. Zhang, and B. Wu. (2004) Lessons from a Gnutella-Web Gateway. Presented at the Thirteenth International World Wide Web Conference, New York City, May. B. D. Davison. (2004) Learning Web Request Patterns. In A. Poulovassilis and M. Levene (eds), Web Dynamics: Adapting to Change in Content, Size, Topology and Use, Springer, pages 435-460. D. G. Deschenes, S. D. Weber, and B. D. Davison. (2004) Crawling Gnutella: Lessons Learned. Technical Report LU-CSE-04-005, Dept. of Computer Science and Engineering, Lehigh University. W. Ma, B. Wu, W. Zhang, and L. Cheng. (2003) Implementation of a lightweight service advertisement and discovery protocol for mobile ad hoc networks. Proceedings of IEEE Globecom, San Francisco, CA, December, pages 1023-1027. W. Zhang, D. B. Lewanda, C. D. Janneck, and B. D. Davison. (2003) Personalized Web Prefetching in Mozilla. Technical Report LU-CSE-03-006, Dept. of Computer Science and Engineering, Lehigh University. Q. Wang and B. D. Davison. (2003) Review: Web Caching and Replication. SIGMOD Record, Volume 32, Number 4, December, pages 107-108. B. D. Davison. (2003) Unifying Text and Link Analysis. In the IJCAI-03 Workshop on Text-Mining & Link-Analysis (TextLink), Acapulco, August. B. D. Davison. (2003) Toward a Unification of Text and Link Analysis. Poster abstract in the Proceedings of the 26th Annual International ACM SIGIR Conference on Research and Development in Information Retrieval, pages 367-368, Toronto, July 28-August 1. B. D. Davison, D. G. Deschenes, and D. B. Lewanda. (2003) Finding Relevant Website Queries. Presented at the Twelfth International World Wide Web Conference, Budapest, Hungary, May. B. D. Davison, C. Krishnan, and B. Wu. (2002) When does a hit = a miss? In Proceedings of the 7th International Workshop on Web Content Caching and Distribution (WCW-2002) , Boulder, CO, August, pages 91-102. B. D. Davison. (2002) Predicting Web Actions from HTML Content. In Proceedings of the The Thirteenth ACM Conference on Hypertext and Hypermedia (HT-02), College Park, MD, June, pages 159-168. B. D. Davison, K. Komaravolu, and B. Wu. (2002) A Split Stack Approach to Mobility-Providing Performance-Enhancing Proxies. Technical Report LU-CSE-02-012, Dept. of Computer Science and Engineering, Lehigh University. L. Grevnin and B. D. Davison. (2002) HTTPflow: An Introduction. Technical Report LU-CSE-02-003, Dept. of Computer Science and Engineering, Lehigh University. T. J. McLaughlin. (2002) The Benefits and Drawbacks of HTTP Compression. Technical Report LU-CSE-02-002, Dept. of Computer Science and Engineering, Lehigh University. B. D. Davison. (2002) The Design and Evaluation of Web Prefetching and Caching Techniques Ph.D. dissertation. Department of Computer Science, Rutgers University, New Brunswick, NJ. October 2002. B. D. Davison. (2001) A Web Caching Primer. In IEEE Internet Computing, Volume 5, Number 4, July/August, pages 38-45. B. D. Davison. (2001) Assertion: Prefetching With GET Is Not Good. In A. Bestavros and M. Rabinovich (eds), Web Caching and Content Delivery: Proceedings of the Sixth International Web Content Caching and Content Distribution Workshop (WCW'01), Boston, June, 2001, pages 203-215, Elsevier. B. D. Davison. (2001) HTTP Simulator Validation Using Real Measurements: A Case Study. In the Proceedings of the Ninth International Symposium on Modeling, Analysis and Simulation on Computer and Telecommunication Systems (MASCOTS'01), Cincinatti OH, August. B. D. Davison. (2001) NCS: Network and Cache Simulator -- An Introduction. Technical Report DCS-TR-444, Department of Computer Science, Rutgers University. B. D. Davison and C. Krishnan. (2001) ROPE: The Rutgers Online Proxy Evaluator. Technical Report DCS-TR-445, Department of Computer Science, Rutgers University. B. D. Davison. (2000) Topical Locality in the Web. In the Proceedings of the 23rd Annual International Conference on Research and Development in Information Retrieval (SIGIR 2000), Athens, Greece, July, pages 272-279. Longer version is available as Technical Report DCS-TR-414, Department of Computer Science, Rutgers University. B. D. Davison. (2000) Recognizing Nepotistic Links on the Web. Presented at the AAAI-2000 Workshop on Artificial Intelligence for Web Search, Austin, TX, July, and published in Artificial Intelligence for Web Search, Technical Report WS-00-01, pages 23-28, AAAI Press. B. D. Davison and V. Liberatore. (2000) Pushing Politely: Improving Web Responsiveness One Packet at a Time. In Performance Evaluation Review, Volume 28, Number 2, September 2000, pages 43-49. Presented at the Performance and Architecture of Web Servers (PAWS) Workshop, held in conjunction with ACM SIGMETRICS 2000: International Conference on Measurement and Modeling of Computer Systems, Santa Clara, CA, June. Longer version available as Technical Report DCS-TR-415, Department of Computer Science, Rutgers University. B. D. Davison. (2000) Is Your Web Site Cache Friendly? Invited article in the March issue of Web Techniques, Volume 5, Issue 3, pages 101-103. B. D. Davison. (1999) Web Traffic Logs: An Imperfect Resource for Evaluation. In Proceedings of the Ninth Annual Conference of the Internet Society (INET'99), San Jose, June. B. D. Davison, A. Gerasoulis, K. Kleisouris, Y. Lu, H. Seo, W. Wang, and B. Wu. (1999) DiscoWeb: Applying Link Analysis to Web Search. In Poster Proceedings of Eighth International World Wide Web Conference, Toronto, pages 148-149, May. B. D. Davison (1999) Adaptive Web Prefetching. Position paper in Proceedings of the 2nd Workshop on Adaptive Systems and User Modeling on the WWW, a part of the Eighth International World Wide Web Conference, Toronto, May. B. D. Davison (1999) Simultaneous Proxy Evaluation. In the Proceedings of the Fourth International Web Caching Workshop (WCW99), pages 170-178, San Diego, March 31-April 2. B. D. Davison (1999) A Survey of Proxy Cache Evaluation Techniques. In the Proceedings of the Fourth International Web Caching Workshop (WCW99), pages 67-77, San Diego, March 31-April 2. V. Liberatore and B. D. Davison. (1999) Data Dissemination on the Web: Speculative and Unobtrusive. Technical Report 99-23, UMIACS, University of Maryland, College Park, MD. B. D. Davison (1998/1999) Measuring the Performance of Prefetching Proxy Caches. Poster presented at the ACM International Student Research Competition, March 1999. Awarded Third Place, Graduate Category. Poster presented at the AT&T Student Research Symposium (a regional ACM Student Research Competition), November 1998. Awarded First Place, PhD Division. S. A. Macskassy, A. Banerjee, B. D. Davison, and H. Hirsh (1998) Human Performance on Clustering Web Pages: A Preliminary Study. In Proceedings of The Fourth International Conference on Knowledge Discovery and Data Mining (KDD-98), August 27-31, pages 264-268, New York City: AAAI Press. Longer version available as Technical Report DCS-TR-355, Department of Computer Science, Rutgers University.